It’s the May 2-4 long weekend here in Canada (aka Victoria Day) so I’ve got a bit of time to myself for once! 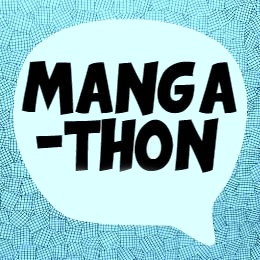 I’ve been working a bit on planning our upcoming Manga Readathon, will be working a bit on some blog posts, I’ve got a long list of videos I’d like to film…(but probably won’t) and then after that I better get outside and finally start planting my vegetable garden. But maybe I’ll leave that chore until next weekend… Ah, adulting. So, until then, let’s catch up with some blog posts, shall we? Today, I’m wrapping up everything I read in the month of May. Akira / by Katsuhiro Otomo (translation and English-language adaptation, Yoko Umezawa, Linda M. York, Jo Duffy). You have to read this. It’s so beautiful. The Kodansha box set. Beautiful. The story. Beautiful. The art. Beautiful. I have a video, where I talk more extensively about this manga. But, really, as a manga reader, this is about as good as it gets! Magic Knight Rayearth II / by CLAMP (translator, Anita Sengupta ; English adaptation, Jamie S. Rich). Basically, this is a continuation of Rayearth (which is sort of a magical girl series). Rayearth is about a magical land, Cephiro, that three jr. highschool girls are summoned to to save the pillar who is the support for the land. In this title, the girls return to Rayearth, because now without a pillar, Cephiro is at risk. Powerful magic users from all around are coming to compete to become the new pillar (not understanding what the role really means). This features CLAMP’s trademark gorgeous art, a fairly compelling story in three-short volumes and a somewhat surprising twist that really went above my expectations for this title. I’ve owned it for a long time, but this is the first time I’ve actually read this part of the series. Itazura na Kiss / by Kaoru Tada (translation, Sachiko Sato.). Easily one of my favourite shoujo manga. Itazura na kiss is the standard scenario – dumb but upbeat girl falls in love with the intelligent jerk. After she confesses her feelings, and he completely humiliates her publicly, a family tragedy (her house falls down) forces them to live together in the same house. Oh, the drama. Oh, the comedy. Oh, the revenge studying. The scenario is so predictable. The situation is so overdone in shoujo manga I sometimes want to scream. But this manga just seems to get it right. The art in it isn’t perfect, but there are some perfect situations that I’ve never encountered in another shoujo manga. These two volumes are the best in the series, in my opinion. The series doesn’t complete, and leaves you at a tantalizing cliff-hanger due to the untimely demise of the author. But, because of her health struggle, and because much of this story deals with the nursing/and doctoring professions feels so much more poignant. I absolutely love this one! Magic Knight Rayearth I / by CLAMP (translator, Anita Sengupta ; English adaptation, Jamie S. Rich). The beginning of this series has the girls meeting for the first time in Cephiro, gaining their warrior abilities, and fighting to save the pillar. But, in true CLAMP style things aren’t as rosy as they appear. This is a surprisingly effective series in 3 very short volumes. Yes, I did rate 1 volume of Akira only 4 stars. Shock! Mink / by Megumi Tachikawa (Translated by Michele Kriegman ; Adapted by Darcy Lockman). Another incomplete title by Tokyopop, but I have a faint memory that I also haven’t collected everything that’s available. This is a cute magical girl series that involves a computer program who turns our main character into an idol singer. It’s fairly stock. But, the characters, and the art are completely adorable. *Edit: Mink, as I have learned, is complete in English. I guess that just means it’s just incomplete in my collection. But, knowing that I can collect the full series is VERY good news! Thanks, Krystallina, for the info! Pixie Pop / by Ema Toyama. Another magical girl series. This one, the girl accidentally drinks the magical “grow up” juice of the drink fairy. Now, whenever she drinks something she transforms (or gains a special ability or personality trait relating to that drink). I think it’s a fairly cute series, but definitely geared for a much younger audience than I am. QQ Sweeper (translation, JN Productions ; adaption, Bryant Turnage) and Queens Quality (translation, JN Productions ; English adaptation Ysabet Reinhardt) / both by Kyousuke Motomi I was worried about this one, I must admit. I wasn’t terribly fond of the first series (QQ Sweeper) when I originally read it. I did like it a lot better this time. The problem is that the ideas, characters, and even story felt like something I’d already read by Kyousuke Motomi. It wasn’t new or fresh. But, thanks to the move to a new magazine, and a new direction for her manga the continuation in the title, Queens Quality, looks like it’s taking her other ideas to another level. There is a dark mystery about this title that is super compelling. I can’t wait to see where this series goes! Platinum Garden, 7 / by Maki Fujita (Translated by Egan Loo ; English Adaptation by Sarah Dyer). I did it! I found volume 7. I have already written a fairly complete review for this series from volumes 1-6, and I was missing this final book. Luckily found it at a recent sale. Unfortunately, despite now having the entire thing it is still far from complete. This is a title that started as drudgery, and ended up achingly compelling. It takes some time for this series to “get going”, and ends on the most frustrating cliff-hanger. I really hope someone will rescue and re-translate this series. Pink Innocent / by Kotori Momoyuki (translated and adapted by Joshua Weeks). Another series in my collection that’s not complete, but I believe it is completely available in English… I think. This one is a story of a very wealthy young lady who has a crush on one of her classmates, and so pursues him to the extreme. Her personality is obnoxious but sweet – and so, of course, has completely won him over. This actually reminds me of another title (Flower in a Storm by Shigeyoshi Takagi) except that the roles are reversed… I also rated it 2 stars. I don’t like to read about this particular kind of domineering/obnoxious relationship. This is a cute series — and I (and you) will probably enjoy reading the entire thing. However, it just feels like something I’ve already read before. There’s nothing new here. Her characters are a rehash of characters she’s used in her other series. And the general premise (about “cleaning” out peoples “hearts/heads”) has been done so often in shoujo manga, it’s getting old. It does seem like she’s giving the clean-up a new spin — using brooms/and not magic. But, I was expecting something “more”. She’s given “more” before. I hope and expect that the “more” I’m expecting will come in future volumes. Otherwise… I will never stop yawning.